Well Christmas is over and it is time to get back into working on art (for me, 'Christmas' was a four day social event), so I grabbed one of the drawings from my scraps to quickly color as a warmup in order to get myself back into the groove. Hope you all had a good holiday, and have fun plans for New Year's! No wonder her legs look so good. 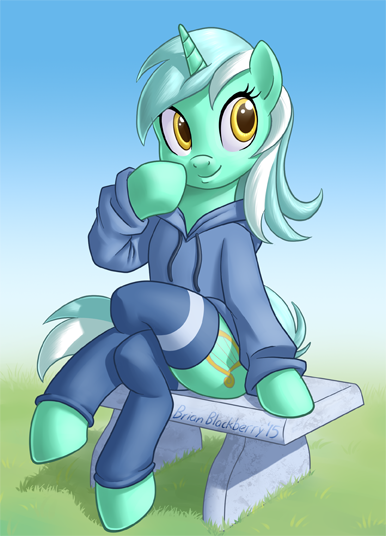 That's a nice trackjacket, Lyra! Facts of Life: Adorable Lyra is indeed, adorable. Very cute! love the pose.